Update, April 2011: Hi, reader! Before you go any further, you should know this article is out of date. To find out the best and most up-to-date way to root your Android phone, check out Lifehacker’s Always Up-To-Date Guide to Rooting Any Android Phone. If you’re paying attention and reading the instructions, the rooting process isn’t that difficult. I made the mistake of trying this out without my phone’s USB cable (which was still packed away in some box) and in a loud sports bar during the first Chargers game of the season, with one eye on my screen and the other on my beer. Things didn’t go so well. This morning I was able to finish up the process and get tethering working just fine. Here’s what (and what NOT) to do when you root your Android phone. Note: You WILL have to wipe your phone of all your data and apps in order to do this. Yes, that is really annoying. First things first: fully charge your phone. Connect it to your computer and mount the SD card so you can read and write to it in Windows Explorer. Now, you’re going to grab the latest stable version of the custom Android build you’ll install on your device (which includes root access). Go to this listing of stable Cyanogen ROMs on your computer and download the latest one, i.e., the file with the most recent date. (Make sure it’s the .zip file, not the md5sum). It will be named something like update-cm-4.0.4-signed.zip. Copy that .zip file to the root of your phone’s SD card. If you’re feeling adventurous, you can try one of the experimental nightly builds, which might have more Donut in ’em–which might also not work, being experimental and all. There’s also this Android ROM Build Database, which offers more options. Now you’re ready to “flash” your phone with a boot image that will let you install that file. Do exactly as this guy in this video tells you to do. Don’t do what I did and download a different version of the Recovery Flasher application. (I tried this one and it works differently than any of the instructions I was referring to, which screwed me up.) Visit http://ryebrye.com/files/flashrec.apk on your phone and download it directly to your phone, then follow the instructions in the video. Note that this boot recovery image only works once. If you boot into Android proper (i.e., you don’t hold down the Home key on startup), Android will rewrite your recovery image. Trying to get back into Cyanogen’s recovery image will leave you with a big honkin’ error, one that I couldn’t get out of without removing my G1’s battery. If you have to do this, start FlashRec again and reflash the Cyanogen image. Once you’ve followed the instructions in the video (i.e., backed up your system and flashed the recovery image in FlashRec, shut down, booted into the recovery image menu by holding down the Home key during startup, wiped your system, and applied the .zip update you saved on your SD card), you’re good to go. Your device will restart and prompt you for your Google login credentials. Thanks for the step-by-step. Rooting my G1 is on my todo, but I just haven’t had the time to sit down and search out the how-tos. Your post eliminated that step for me. FYI, there is a way to achieve a USB tether without root using PDANet. It works really well. Great write-up, Gina. I will be taking the Android plunge when the Hero is released by Sprint on Oct. 11. I want to root my phone immediately (before I put anything on it, since doing so deletes everything), but I have heard such great things about the Sense UI. Is there a way to root these things without losing the factory UI? Or is there a custom rooted Sense UI somewhere? I have Googled this stuff to no avail. Anybody got tips? Or you could wait until the Hero is released. It comes with tethering built in. Easy instructions on how to get it working. I haven’t tinkered with them too much, but there are definitely Sense-ish themes to work with. Good luck! I did this last week. I don’t currently need to tether but did it mainly for the performance boost, which is quite noticeable. While it is annoying to have to wipe yr phone, it’s a little less annoying if you use something like MyBackup to back everything up beforehand. I was under the impression tethering was possible without root access using PdaNet. How is rooting different from Jailbreaking? Both are trying to basically gain root access. But that aside. I wish someone or some company would get Android’s stuff together. Android and DoubleTwist could become a great threat to the Zune and iPod chokehold (Ok, maybe not much on Zune, but maybe iPod). Have doubletwist be able to sync apps, have Creative Commons content, Podcasts, and more. And have Android and Android devices be what the iPhone OS is to the iPod touch. I want Android. But only if it can become… iPod touch like, in terms of what I mentioned above. 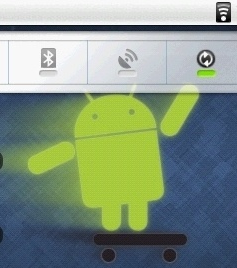 “nandroid-mobile.sh. restore” from the console. The suggestion to repair via console is great, but this is a MyTouch 3G with no physical keyboard to be able to type in console. To make matters worse, since I can’t fully fire the phone up, I can’t mount it for mass USB storage either. LAST PARAGRAPH – OK, I don’t know why, but get this… I tried to repeat the error I was getting during the backup process and the phone was not responding. Assuming that the battery may have drained, I plugged it in, Home/Powered up, and again selected “restore latest backup” It worked. I have no idea if it worked on a fluke or if the phone needed power to complete, but I am apparently all set now and running the original Android that shipped with the phone. As I figured this may assist someone else, I decided to proceed with posting this. Does rooting the phone allow you to install apps on the external memory? I’ve already run out of space on my G1. One Click Root no longer works, removed as per Google’s request I think.